Here at Manchester Youth Zone, we have been looking into how we can reduce the amount of waste we produce and use more environmentally friendly products. Some of these changes have been small, like switching to using unbleached napkins in the cafe, and other changes are much greater like changing our cleaning products for alternatives less harmful to the environment. While we have improved leaps and bounds over the last few years, there is always more we can all do to benefit the environment and the community we live in. We are now using a compostable coffee cups which are different to the usual cups found in most coffee shops. Cups made from sustainably sourced board and lined with renewable plant-based PLA, not plastic. 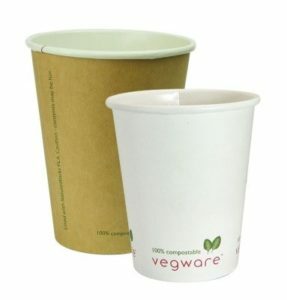 We currently supply compostable cups for our meeting rooms and functions but will be investing in new cups which can be used time and time again. This will help fund future environmental projects at Manchester Youth Zone. We have changed our disposable cutlery to plastic-free cutlery which is just as strong, sturdy, and great up to 85ºC. Plus it’s award-winning, compostable, and low carbon. 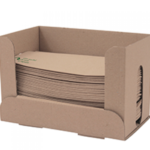 CPLA is plant-based, RCPLA is recycled CPLA, and both have less carbon than plastic. We will be changing our napkins to unbleached napkins made in the UK from 100% recycled fibre. 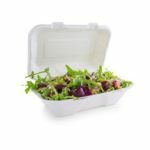 “Bagasse” is a stylish eco alternative to polystyrene made from recycled sugarcane fibre. Great from -15°C to 120°C. Suitable for wet and dry food and sturdier than paper plates. We will be looking into changing our cleaning products such as washing up liquid, floor cleaner and toilet cleaner to greener products which are less harmful to the environment. 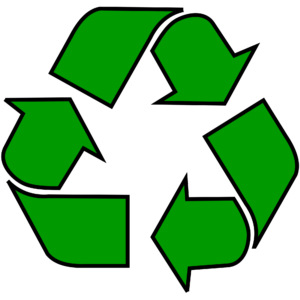 Upcycling is the process of turning unwanted items, like empty bottles or scrap wood and metal, and turning it into something new and useful! This is very friendly for the environment as it means that less materials are wasted, especially ones that cannot be recycled easily. 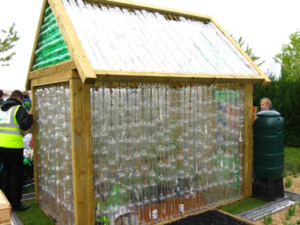 One of our biggest horticultural projects to date is the Plastic Bottle Greenhouse! In 2019 we are collecting over 1000 plastic bottles to build our very own upcycled greenhouse! Young people and Adults at the Youth Zone are contributing to the bottle collection – Juniors and Seniors are donating their bottles on sessions, and the office staff are keeping hold of their milk bottles from daily brews. If you have any plastic bottles ready for the recycling bin, please send them to Louella at the Youth Zone so we can reach our 1000 bottle target!